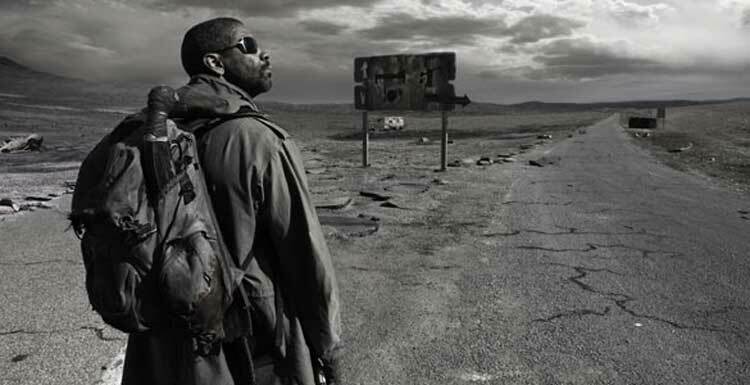 The second film in this post-apocalyptic marathon brings a world-weary Denzel Washington into a near-future Earth that’s almost completely decimated. He plays Eli, a loner that walks slowly through a hostile world of marauders, rapists, and other denizens. Fighting off these goons with his trusty sword, he travels with a mysterious book of power. Arriving in a small town, Eli meets the vicious town leader Carnegie (Gary Oldman), who seeks this book. The young Solara (Mila Kunis) joins Eli as they’re pursued by Carnegie and his band of heavies. The chances for survival seem pretty slim in this uncaring world. The Hughes brothers (From Hell) take a more stylized approach to present the sparse landscape. There are some gorgeous shots of the wasteland, but they do look too much like CGI and take us out of the movie. I expect this approach was intentional and designed to enhance the dire nature of this environment. Also, the extremely bright daytime shots of the post-nuclear atmosphere make this world seem less realistic, even if the excessive light is scientifically accurate. The characters beyond Eli and Solara are mostly one-note caricatures of movie goons. Even Oldman’s Carnegie is basically a one-note villain who shows zero humanity towards everyone. A rare exception is Jennifer Beals as the villain’s wife Claudia, who's become the unfortunate victim of Cartwright’s abuse. Another common fact of this land is the cannibals, identifiable by their shaking hands. Michael Gambon and Frances de la Tour play an isolated couple living in one of the few standing houses. They may be cannibals, but this duo seems nicer than the other bad guys out there. It could be their choice of Anita Ward’s “Ring My Bell” in one of the story’s few comic moments, which lightens the mood, if only for an instant. Calling Eli's quest compelling might be a stretch. Washington does his best to make his slow trek across the country interesting, but there’s only so much he can do with limited material. 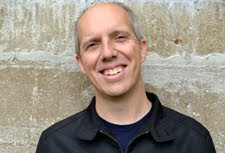 He imbues Eli with a genuine humanity that’s missing from nearly everyone else in the world. It’s possible that most of the other positive figures are dead. If it wasn’t for his excellent swordplay and archery skills, Eli would never have survived this long. Solara also helps with achieving this quest, even if their initial conflicts seem too conventional. Kunis gives a decent performance, but her role could have been fleshed out better to make her a true partner. Despite its post-apocalyptic setting, The Book of Eli is a pretty dull movie. Watching the hero dispatch large groups of bad guys in ultra-violent fashion can only be interesting for so long. There is one action scene that goes so over the top that it becomes comically ridiculous. While holed up in the house with the cannibals, Eli and Solara face a siege from Carnegie’s goons. After failing with the standard guns, they pull out a giant rocket launcher to end the showdown. Amazingly, that’s not enough either, so they locate a giant Gatling gun to finish the job. If that didn’t work, I guess it would have taken the world’s largest cannon to settle the stalemate. With a few exceptions, the message isn’t presented in an obvious fashion. Eli does give one painful speech about the old-world people (that's us!) not realizing how much we had. These comments do generally seem fitting since Solara never lived in that setting. The most divisive part of The Book of Eli is definitely the ending, which pulls the rug out from under us about Eli. Sadly, I didn’t completely understand the big twist until a few days later. I guess this is why filmmakers hit us over the head. Without revealing spoilers, the finale has Eli and Solara arriving in a building that is drastically different from the rest of the world. The end is strangely hopeful, but also really preachy about what’s needed for a successful society. The Book of Eli was a decent movie but you are right in saying that it is kind of boring at times. I feel the final revelation at the end isn't earned at all, how does he manage to dispatch all of these people and walk across the country with his... disability. Castor, you're definitely right about the final revelation. I tried not to give too much away in my review since it's a recent film, but the idea that he could be such an amazing fighter just using his heightened other abilities feels like a big stretch.